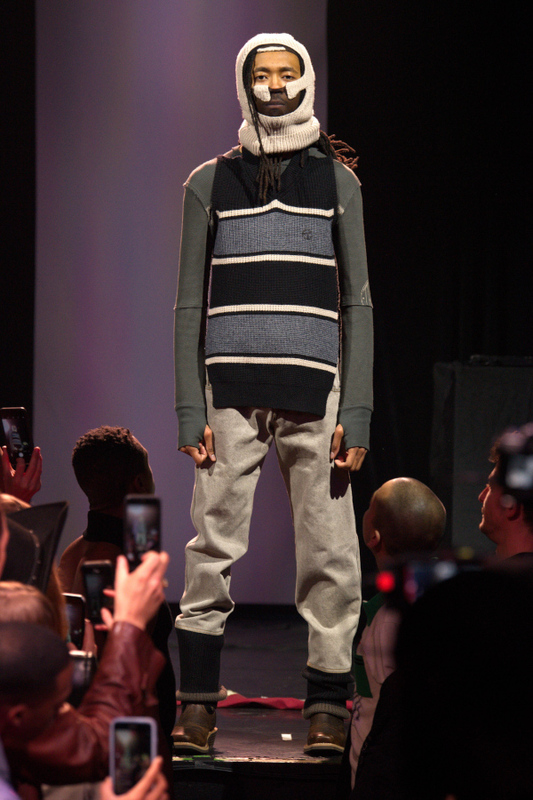 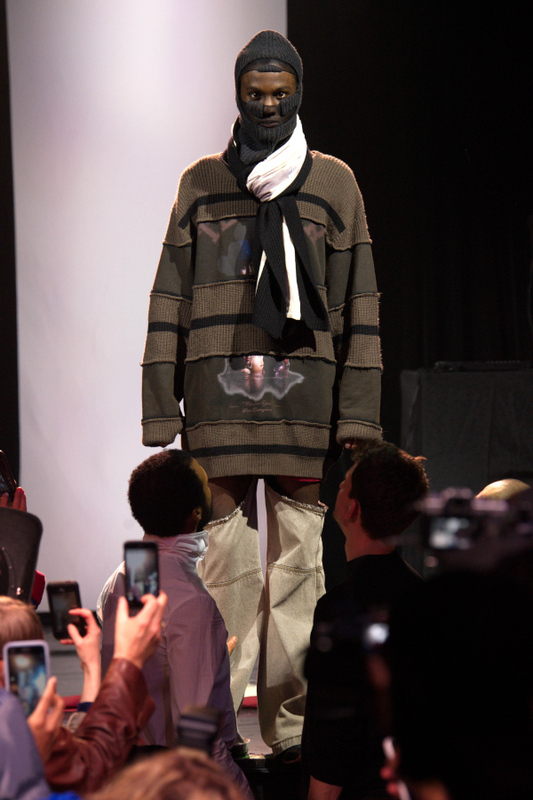 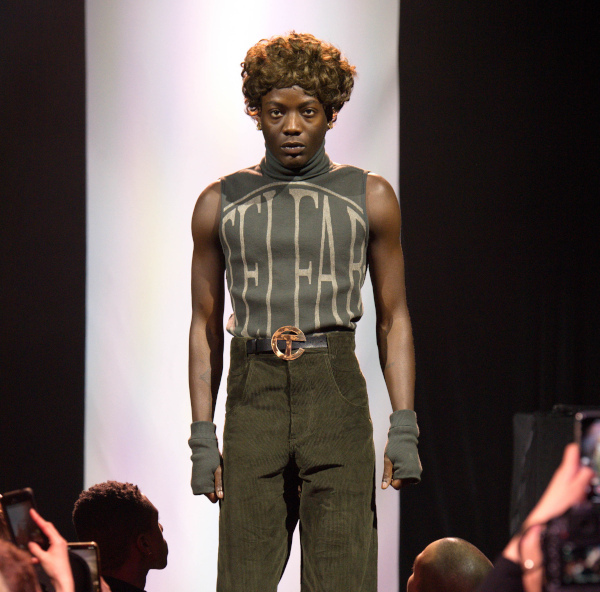 Liberian-American unisex prodigy Telfar Clemens presented his AW19 collection entitled ‘Country’ at New York fashion Week in the most untraditional way. 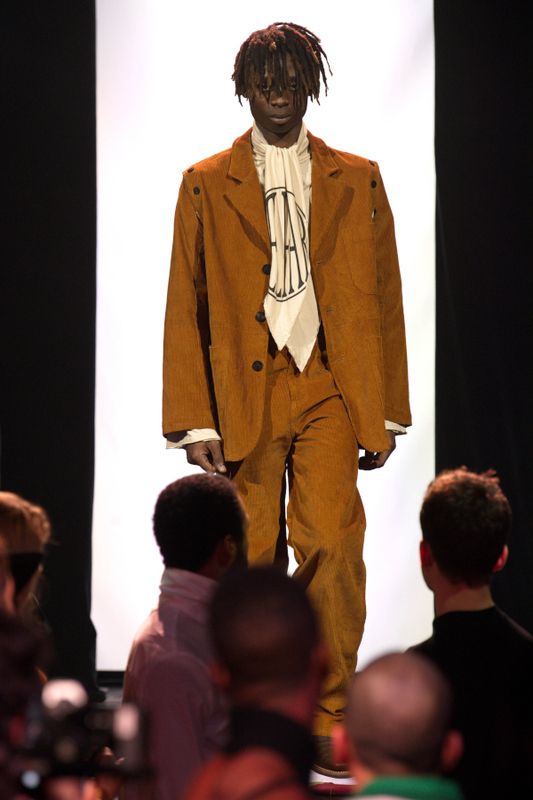 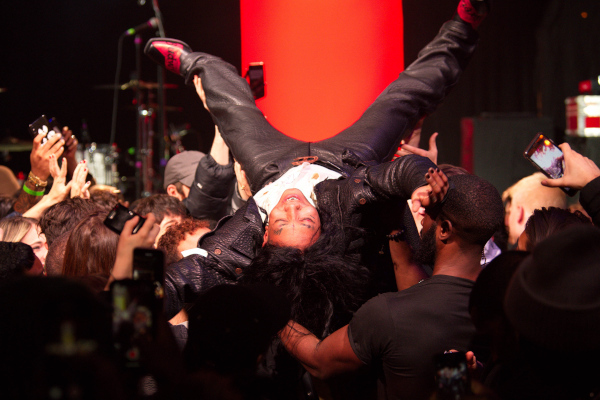 The show was a unique performance combining theatre, music and fashion. 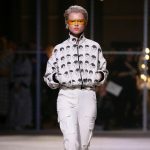 Instead of traditionally walking down the runway, the models emerged to the stage, and before approaching the edge, fell down into the audience, just like in a music concert. 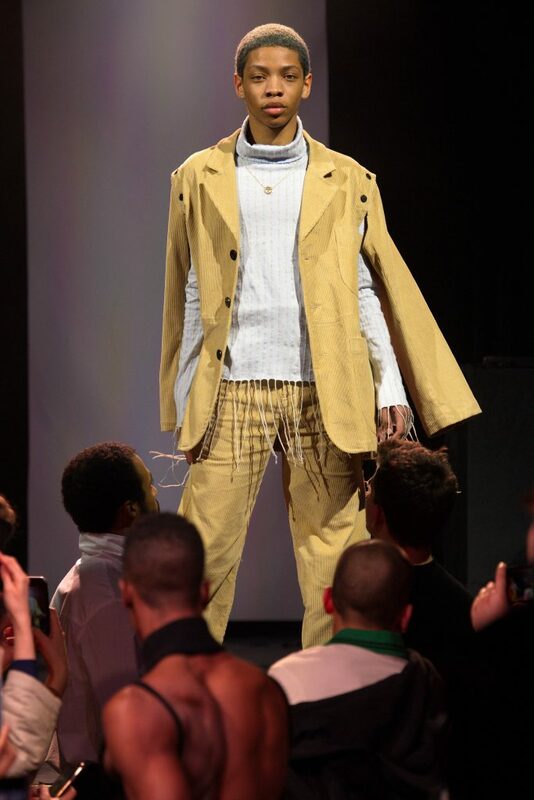 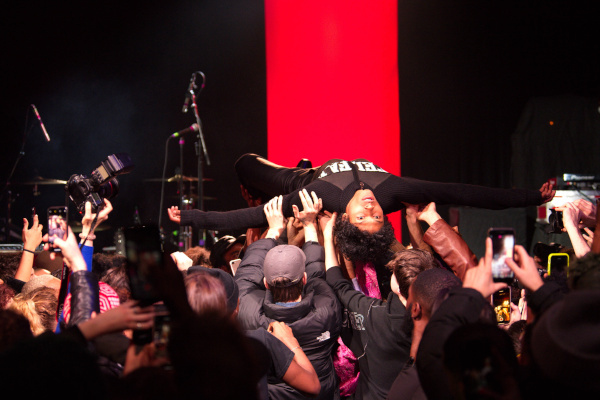 In a combination of a trust-fall and crowd surfing – each model was carried on the hands of the audience to the back of the venue — their journey forming the ‘runway’ portion of the show. 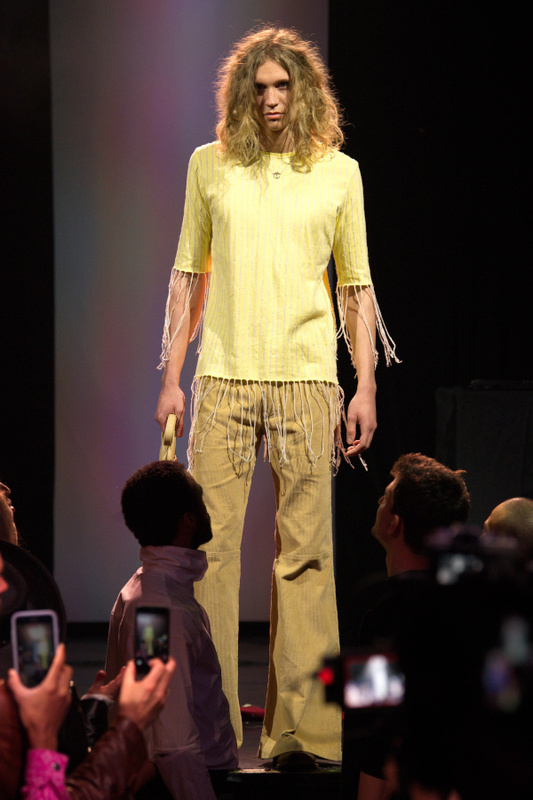 Silhouettes were once again a genderless, Avant grade with a strong 70’s touch. 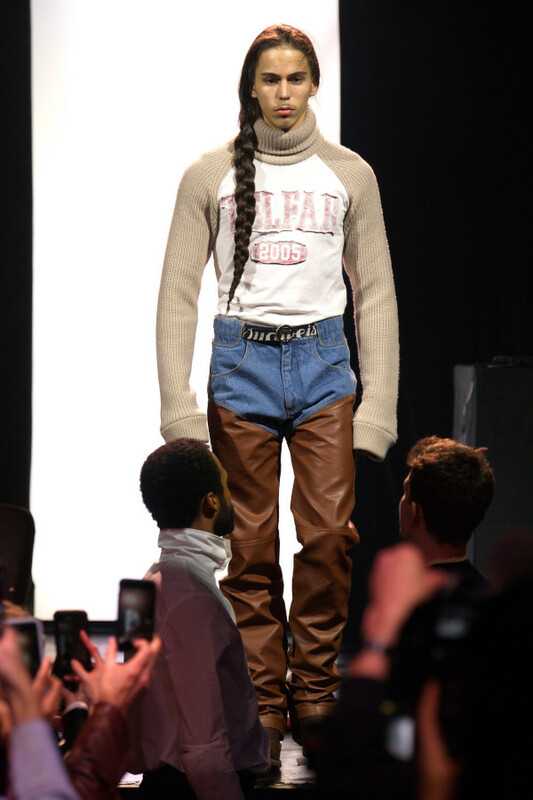 There were cut-out crop-tops, knitted balaclavas, sweaters printed with oversized logos, collegiate knits, fringed t-shirts, flared denim, polo shirts and granddad cardigans. 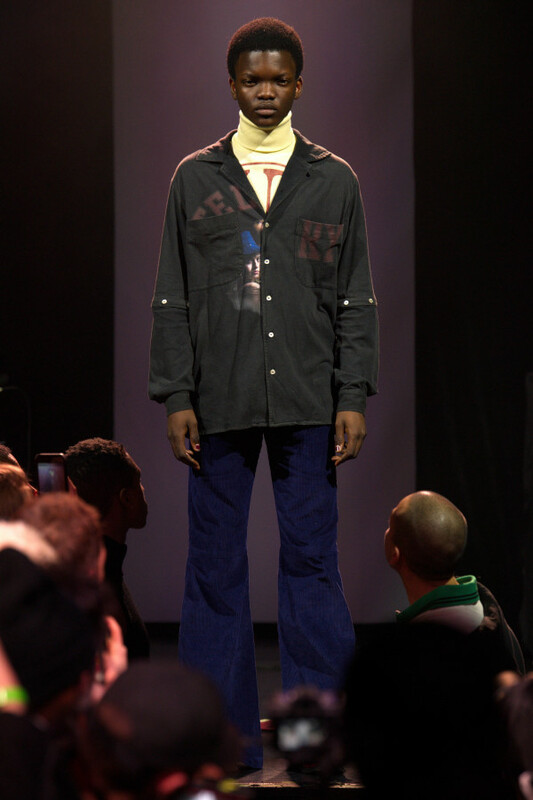 Fabrics were jerseys, denim and corduroy. 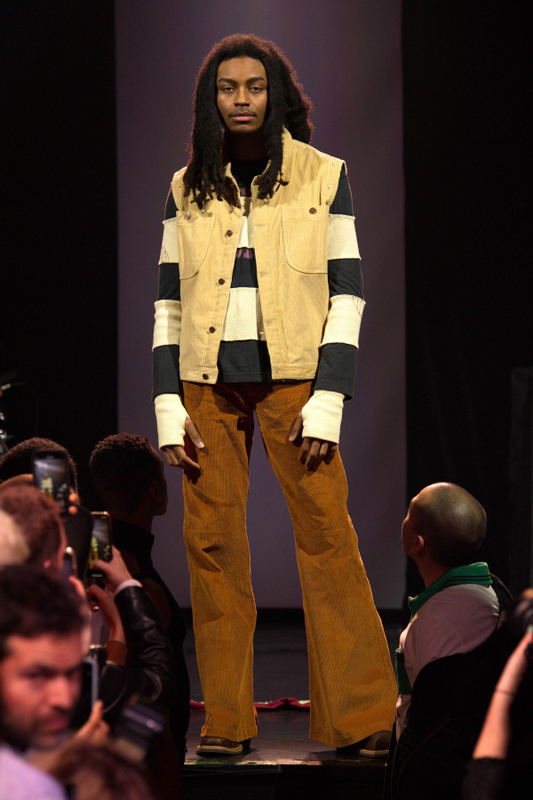 Colours ranged from rust and pale yellow to beige and khaki. 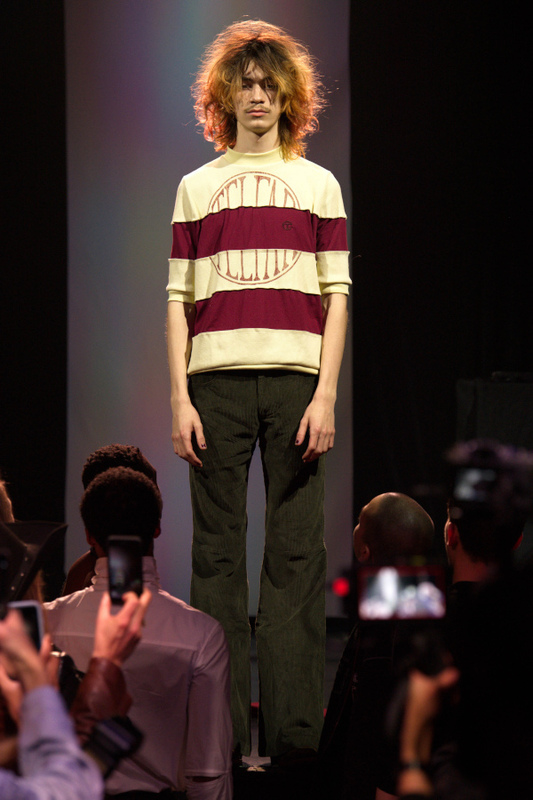 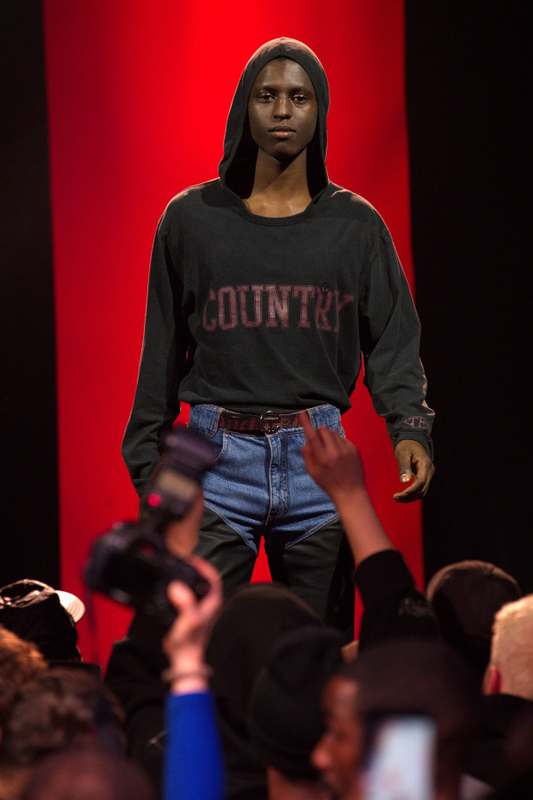  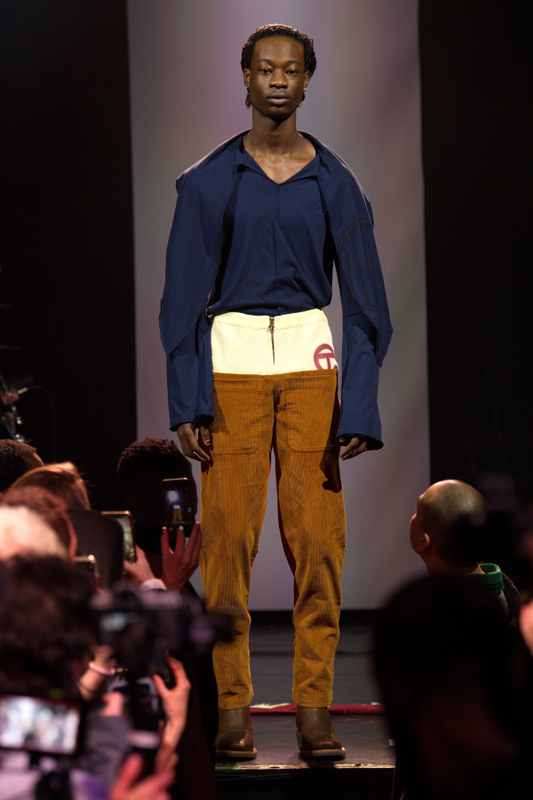 Cloths clearly were not the only agenda for the designer, who launched his line in 2005 (at the age of 18) and has developed since then a democratic, original design vocabulary. 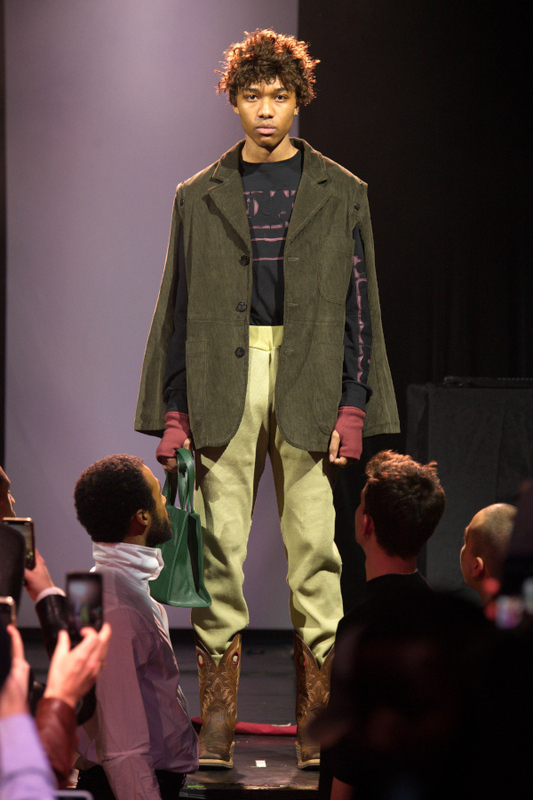 There is an unmistakable metaphoric reason to the diverse casting and the creative vision that created a deeper meaning to this collection. 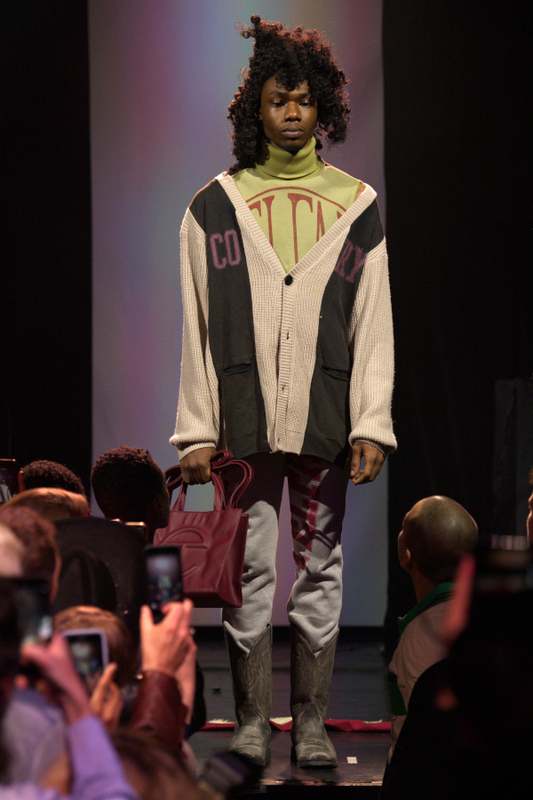 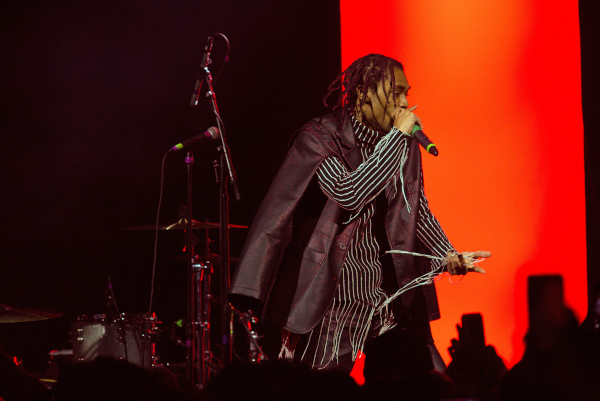 The show ended with a set by Steve Lacy (The Internet) dressed in the final look – followed by a DJ set by TOTAL FREEDOM – seamlessly transitioning the evening from runway to after party in one venue.